Physie is a synchronised, team-based sport that’s social and fun and an excellent low impact dance and aerobic activity. Your local Physie club is run by dedicated teachers who provide classes for all ages and abilities from pre-schoolers to ladies. Grandmothers, mothers, daughters and grand-daughters can all be members of the same Physie club and share their involvement in this unique sport. From ages 3 to 73, Physie is a sport for life. Our clubs cater to all ages and abilities so Physie is an experience you can share right throughout your life. Generations of Australian women have cherished the friendships and close-knit bonds that Physie creates. More than a sport, Physie is a welcoming community of fun, healthy, active families. There is an aura of confidence around Physie girls of all ages. Taught to stand tall, with strength and pride, they are team players committed to achieving their goals. Unlike some ballet and dance studios, BJP Physie focuses on developing the self-esteem of its students. By teaching them to have a positive relationship with their bodies, we help students blossom with confidence and self-assurance. BJP Physie is passionate about nurturing students’ total wellbeing, in both mind and body. Physie is an accepting and encouraging team sport, where every member is supported and motivated to be the best they can be. 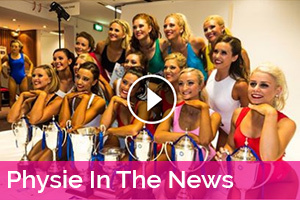 For those who aspire to perform on the Concert Hall stage of the Sydney Opera House, BJP National Championships bring together participants from all over Australia to name the next Grand Champions. Watching the skill, confidence and focus that these outstanding athletes display along with their graceful, artistic expression is inspiring. 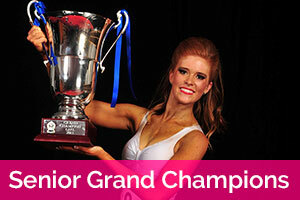 Watch footage of our young champions performing at the Australian Dance Festival. 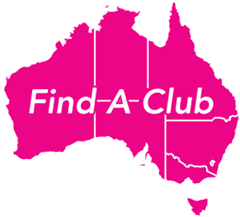 With over 130 clubs, BJP Physie is Australia’s longest running and premier Physie organisation. Founded over 126 years ago as the Bjelke-Petersen School of Physical Culture, BJP has proudly inspired generations of Australians to exercise both body and mind through this remarkable sport. Read Kristy’s story about a Physie friendship that’s lasted decades.